How Serious Are You About Winning The Lottery? Like So Serious That You Would Do Anything to Win It? If you desperately want to win the lottery, there are things you have to do, measure you have to take, the paths you have to lay out, lucky numbers you have to keep, superstitions you have to discard or keep depending on how superstitious you naturally are, but you get the point I’m sure. There are so many people who’re playing the lottery just for the sake of it, whether they win or not is not a problem yet, however they always keep complaining about how they never win the lottery. You have to be dedicated to winning the lottery, you know, much like you want to be dedicated to lose weight for a big upcoming gala. Winning the Lottery isn’t a Piece of Cake! Okay, literally and figuratively speaking, winning the lottery isn’t a piece of cake, meaning all these lottery software out there in the market today (some which are worth cakes!) isn’t worth it. 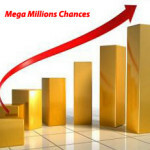 You might think that they will help you win the lottery and help you take home a big, juicy jackpot, well think again. 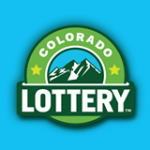 If you’re serious about winning the lottery, you have to do it the organic way, i.e. you buy tickets like a non-lottery software lottery player and then you play on a regular basis. 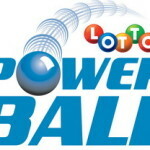 Only then will you be able to win a jackpot, and just for your information, if you do that, these lottery software developers will bite the dust and stop luring other people to pay them any money. Sometimes you may think that just because you’re not lucky you cannot win the lottery. Let nobody tell you that. Those people who have taken home a jackpot, how do you know they were lucky or not? It’s just a matter of chance and believe me, nobody can buy it. So winning the lottery doesn’t depend on your lucky stars, lucky boots, scarves, wife, shoe size, hairstyle, color, pet or anything. You can have, wear and take anything you’ve always liked and still win the lottery if it was your chance. The Lady Luck, unlike us people, is not racist. She will not categorize you in color, caste, tradition, religion or the like. It’s simple when it’s your time, you will win. You don’t have to be a special caste, religion or color in order to win the lottery, so be patient. Winning the Lottery Is unfortunately Like Death! What if I told you that there’s a ‘death’ software that gives you better odds of escaping death for a fee of $5 per month or $55 per year, would you buy it? If you would then, my friend, you need help. Much like death can’t be predicted, winning the lottery can’t be predicted. So if your playing based on predictions, know that you won’t always find an orange in a basket of apples! You know you have to play responsibly, so be careful what money you bet. If you’re serious about winning the lottery, you need to know our limits. People who are serious about winning the lottery know when to play, where to play and how to play responsibly. You can’t be taking money out of your savings to play the lottery, you need to have a plan, a decent one that allows you to play and save simultaneously. I’ve personally met a lot of people who absolutely love playing and are serious about winning the lottery. But the worst part is that they believe in superstitions, charms, software and what not. They’ve spent half the money buying unnecessary stuff in a month’s time that they’ve ever spent on lottery tickets in a lifetime. I know it’s luring, software that promises you the jackpot, but if you’re truly serious about winning the lottery, you know they won’t help. Listen to yourself, to your inner voice, the right numbers are there and then you will match it when the time’s right.